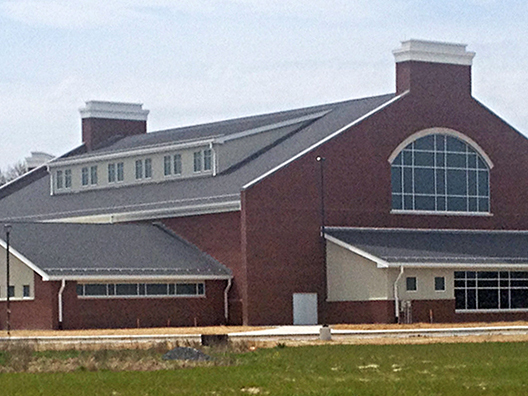 Construction Observation & Testing | Geo-Technology Associates, Inc.
GTA provided subsurface exploration, laboratory testing, and engineering analysis for a new high school building and campus on the grounds of the existing Woodbridge Athletic Complex situated along Woodbridge Road between Bridgeville and Greenwood in Bridgeville, Delaware. GTA provided recommendations for foundation support, slab support, site grading, groundwater control, utility construction, and pavement support. 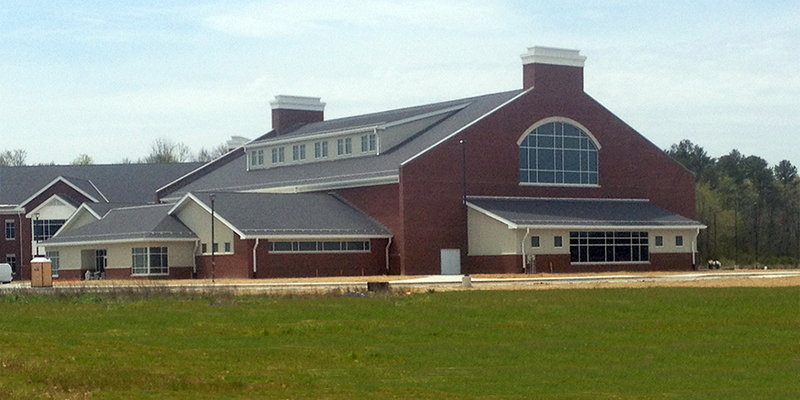 The project entailed the construction of a partial two-story school building with an approximate 150,000-SF footprint including a gymnasium, several outbuildings, drive lanes and parking areas, and stormwater management systems. 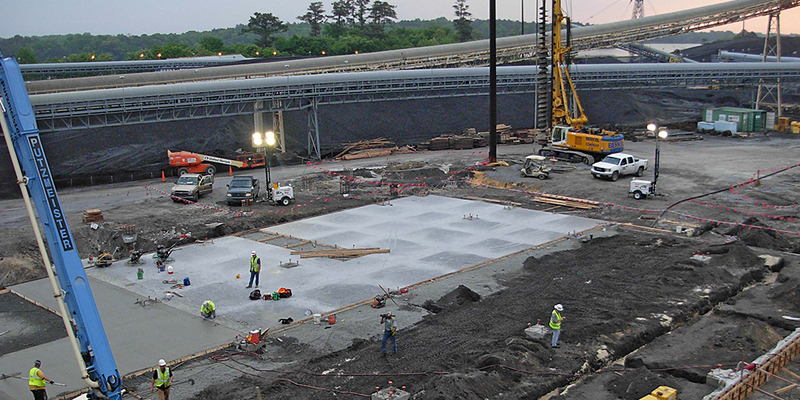 During construction, GTA provided construction observation and testing services related to soil, concrete, structural steel, masonry and hot mix asphalt construction. 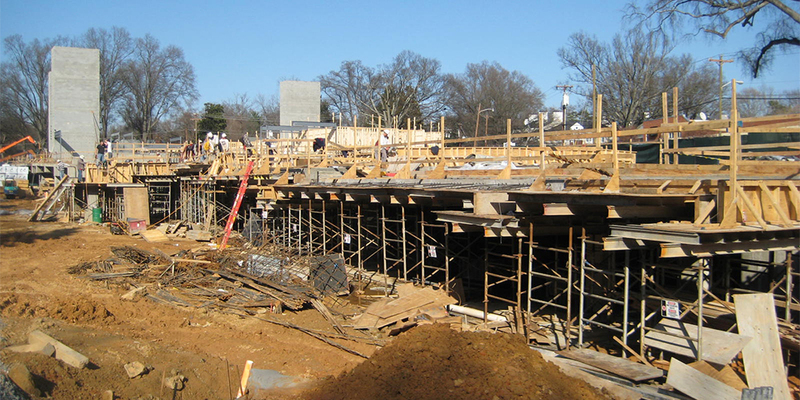 GTA also provided Delaware Department of Natural Resources and Environmental Control (DNREC) Certified Construction Reviewer (CCR) related services for sediment and erosion control during project construction. Tranquil Court is located on Selwyn Avenue in one of Charlotte’s most sought after neighborhoods, Myers Park, and one mile from Queens University of Charlotte. GTA provided construction observation and testing services (COTS) for this complex which includes a 4-story, 104-unit stylish brownstone-inspired condominium building, with gym, interior court yards, grilling, and entertaining areas; a 5-story, 62,000-SF retail and office building situated above a one-story underground parking garage; and a 6,500-SF soil nail wall, with a battered flexible face, for excavation support for the development. 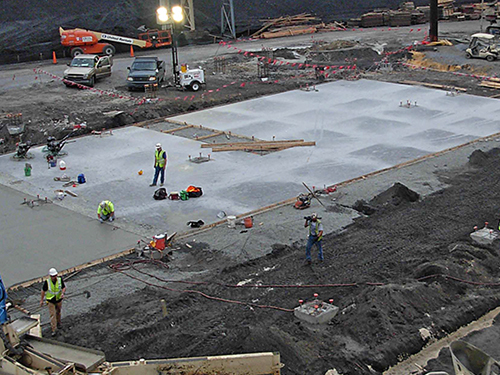 COT services included foundation inspection, fill placement monitoring, nail test evaluations, concrete testing, steel inspection, EFIS inspection, masonry, and asphalt testing for the complex. 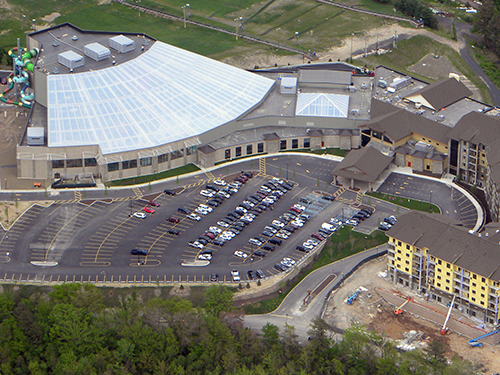 GTA provided field observations, materials testing, and geotechnical engineering services in connection with the construction of the $163 million, 125,000-SF Aquatopia Indoor Waterpark, 45,000-SF Arcadia Family Adventure Center, and eight-story, 430,000-SF, 453-room, ski-in/ski-out Lodge with 20,000-SF of meeting and conference space, three restaurants and multiple bars, located on a 25-acre parcel in the Pocono Mountains. 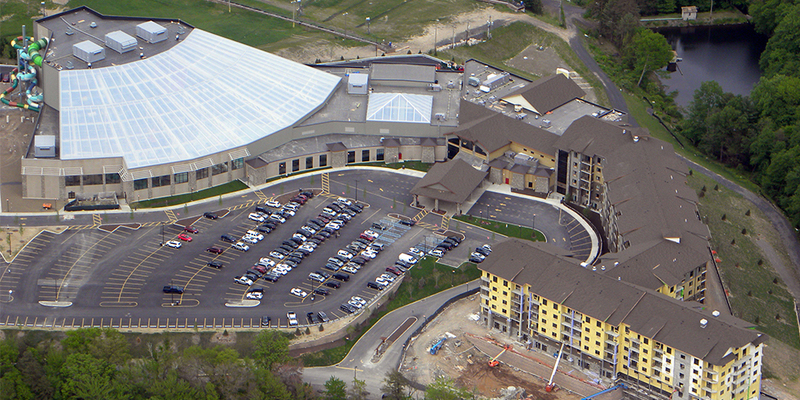 This is the fourth largest indoor waterpark in country, the largest in the Northeast, and first indoor waterpark at a ski resort in the country. 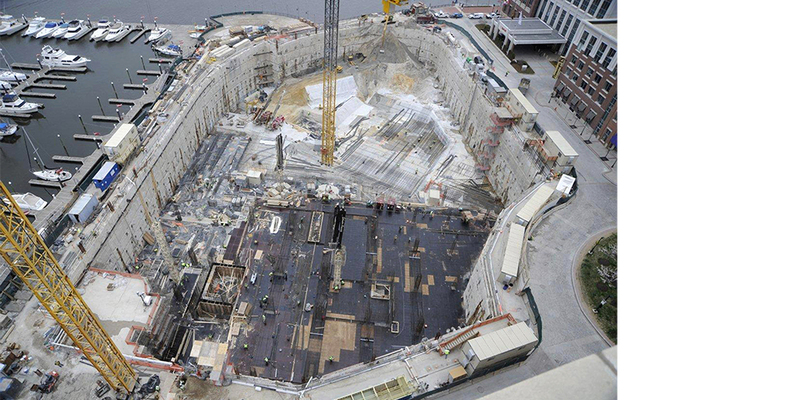 GTA provided construction observation and testing services during the construction of the slurry wall and mat foundation for a new luxury high-rise hotel and condominium complex located directly adjacent to Baltimore Harbor’s waterfront. The new structure features two towers: a 22-story hotel and condominium tower encompassing 455,000 SF (with capacity of construction to 45 stories), and a 26-story, 600,000-SF office tower located directly adjacent to the harbor waterfront. This building also includes a five-story below-grade parking garage, which requires a 24-hour dewatering system due to the close proximity to the waterfront. The structure was designed utilizing both conventional reinforced concrete and post-tensioned concrete structural systems. GTA’s services included observations of the excavation and installation of micropiles and caissons to confirm sufficient penetration to design bearing materials and compliance with established tolerances allowed for during the construction, observations of slurry wall panel and mat foundation excavations and associated steel reinforcement placement, observations of the installation and testing of temporary tieback anchors, sampling and testing of the concrete for the slurry wall panels and mat foundation, sampling and testing of grout placed for tieback anchors and the monitoring of temperature and maturity of the mat foundation mass concrete. For the mass concrete monitoring, GTA utilized maturity and temperature loggers placed at the surface and at mid-depth of approximately 20 mat pours along with a compatible logger reader to provide up-to-date temperature difference limits and estimated compressive strengths of the in-place concrete. This information was helpful in allowing the contractor to correctly implement the requirements of the provided thermal control plan. GTA also provided Phase I and II Environmental Site Assessments, groundwater evaluations and analysis, geotechnical assessment, inclinometer installation and monitoring, foundation design and drilling services. NRG Energy retrofitted its Indian River power generating station Units 3 and 4 with Air Quality Control Systems (AQCS) to meet future air pollution regulations. Selective Catalytic Reactors (SCRs,) Pulse Jet Fabric Filters (PJFFs,) Circulating Dry Scrubber (CDS) systems, Induced Draft Fans, and associated facilities were added to Units 3 and 4. GTA was the Project Engineer responsible for supervising construction observation and material testing services for the project including various deep foundation systems, such as, Micro-Piles, Auger Pressure Grouted Displacement Piles, and Auger Pressure Grouted Piles (36-inch and 16-inch nominal diameters). 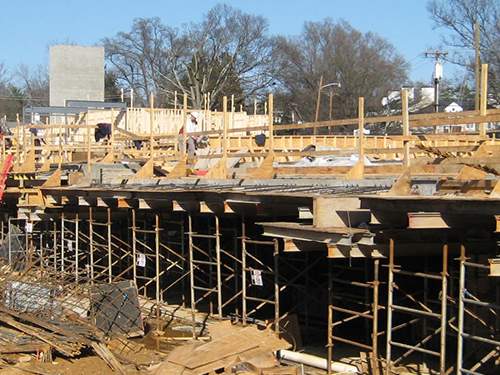 Our services also included observation and testing for concrete pile cap and structural slab construction and density testing of fill construction. Services included Forensic evaluation and sampling. Testing was to evaluate concrete placed for a pile caps supporting a byproduct silo type structure. 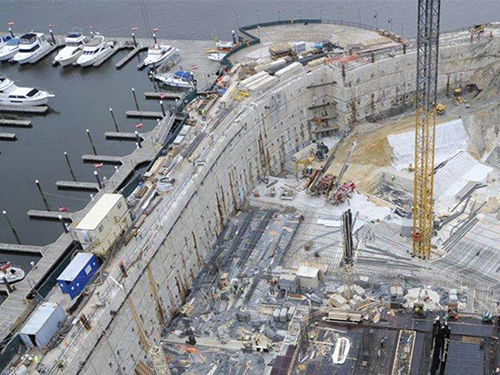 Due to the large mass of concrete required to construct the pile cap, delays in concrete delivery raised the issue of possible cold joints forming in the pile cap. GTA performed concrete coring to obtain cores for compressive strength testing and petrographic analysis. We also evaluated potential overstressing of structural steel support framing using strain gages as the structure was loaded. Finally, we evaluated steel reinforcement bar Yield and Tensile Strength, & Elongation for selected pieces of rebar from 36-Inch Diameter APG Piles.